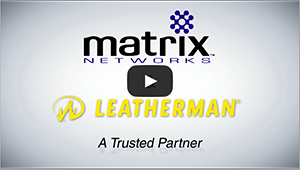 Matrix Networks is dedicated to the strategic design, deployment, & management of modern network infrastructure. From Cisco Meraki, to advanced legacy CLI, Matrix is your one-stop-shop for networking expertise. Identifying, implementing, & supporting new business phone systems is a specialization of Matrix Networks, and has been since 1984. Matrix specializes in cloud phone systems, on-prem & modern contact centers. Matrix Connectivity as a Service (MCaaS) is the intelligent management of enterprise connectivity through a combination of diverse circuit sourcing and integrated SD-WAN, all managed by Matrix Networks. Solid WiFi is a key component of any business's technology ecosystem. Matrix Networks specializes in Hospitality & Enterprise grade WiFi built for reliability, speed, coverage, and with security at the forefront of every design. With over three decades of experience Matrix Networks has developed a proven method for discovering, testing, deploying & supporting the solutions that our clients depend on. Our close-knit team is passionate about delivering technology solutions that simplify IT projects & support. Whether your goal is improving Unified Communications, Network Connectivity, Wireless Access, or Cloud Infrastructure, our success is yours! Today's "Internet First" business world demands a partner that understands network infrastructure, and the important role it plays in modern business technology. Register to Receive a FREE Cisco Access Point!